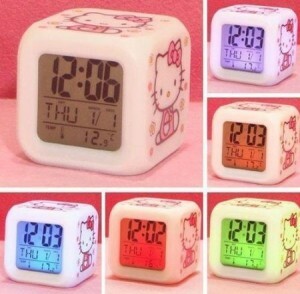 Hello Kitty Alarm Clock w/ Soothing LED Lights & Thermometer Only $4.99 w/ FREE Shipping! How cute is this clock?! Head over to Amazon to pick up this Hello Kitty Alarm Clock with Soothing LED Lights and Thermometer for only $4.99 with FREE shipping!